Walker School Athletics fields over 50 teams in 16 sports, with students typically beginning in the 6th grade. 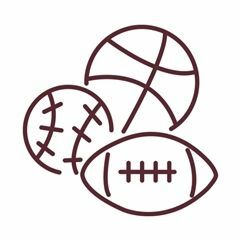 Nearly 70% of our Middle and Upper School students play at least one sport each year, and over 30% will play more than one sport (Walker supports multisport participation over specialization). With 124 region and state championships to our name, Walker is committed to fielding strong teams in all sports, but above all, our aim is for our students to compete with great enthusiasm and to demonstrate exemplary sportsmanship.